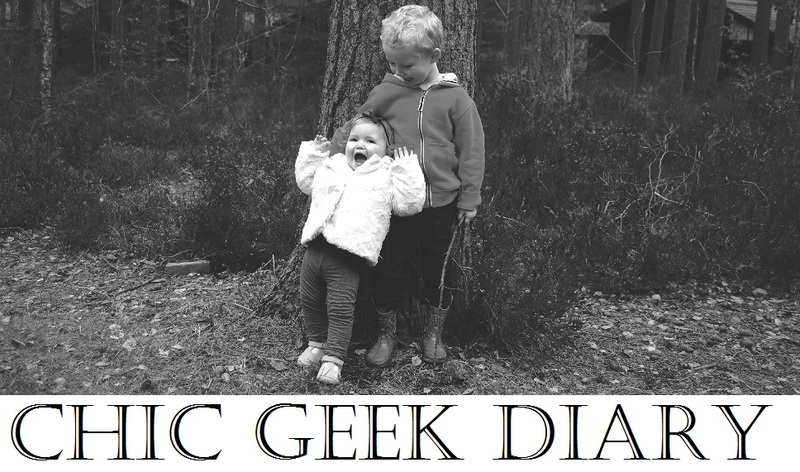 We love eating out as a family and in the past have done so on a regular basis, but since the birth of our second child we've not been able to do it as much. 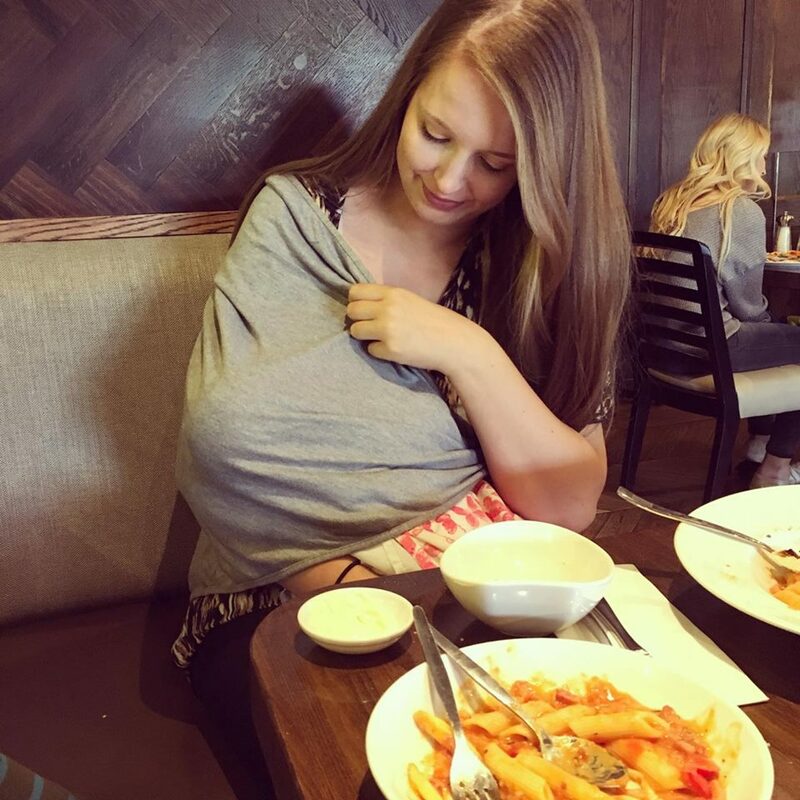 She's still so young and needs so much attention so eating out can be be quite difficult with the two of them. With that in mind we've found ourselves playing it safe by staying in to eat or by ordering a cheeky takeaway every now and again. We've really missed it so when we were invited to take part in the BritMums #PrezzoLaFamiglia challenge I thought it's time to get back to doing what we enjoy and we were so excited to visit Prezzo for the very first time. We chose to visit the Preston branch as it was the one nearest to us, just a quick drive down the motorway and both children napped on the journey. 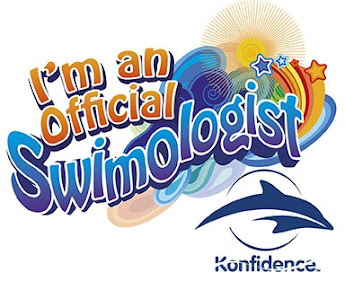 As soon as we arrived we were quickly seated by the staff and they were polite an attentive even before they knew we were they for a review. The restaurant was pristine and the decor was gorgeous but I didn't feel out of place with my two little ones, I felt very relaxed and at ease. 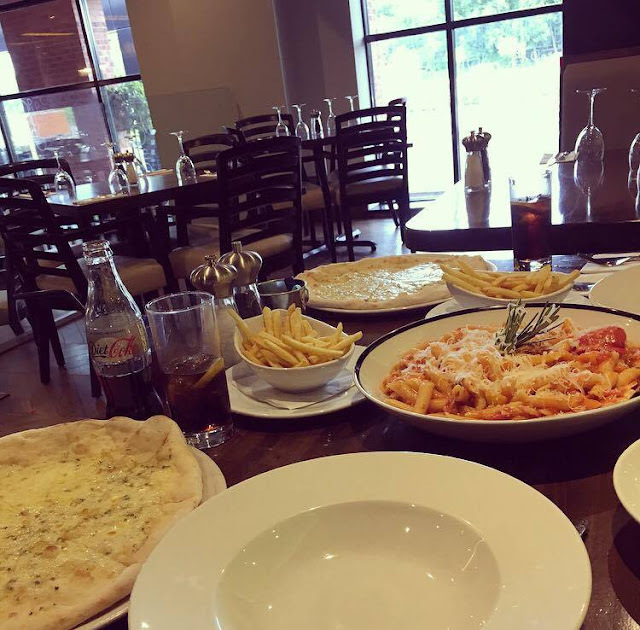 As part of the challenge we were asked to try out Prezzo's new La Famiglia sharing pasta dishes. You can choose from quite the selection; Penne Arrabiata, Spaghetti Bolognese, Spaghetti Carbonara and Penne Alla Rusticana. 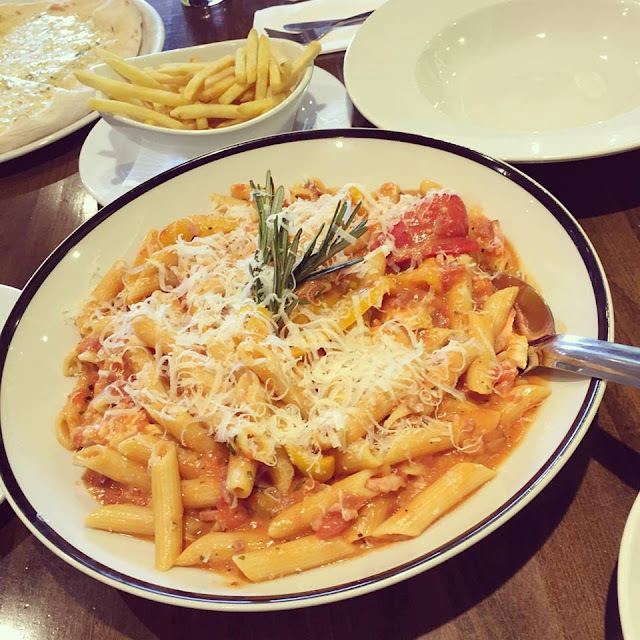 As a family of pasta lovers we could have chosen any of them but we decided to go for the Penne Alla Rusticana as it's a little different from the dishes that I make at home. We ordered soft drinks and garlic bread and asked for it all to come at once rather than as a starter. Whilst we waited for the food to arrive Noah was given some crayons and paper to entertain himself with but we didn't have to wait long at all as the food came really quick. When our food was served the waiter said that the meal is usually for four so we may struggle as our party was just two adults, a toddler and a baby who of course isn't eating yet. With this in mind we asked if one of the garlic breads could be boxed up so we could take it home with us and they didn't mind at all. The La Famiglia sharing bowl is a great idea for many different reasons and I can't believe no one has thought of it before. The choice of pasta dishes were all family favourites so they'd please even the fussiest of eaters and having a set meal for everyone discourages fussiness too. It also took away the confusion and stress of ordering 101 different meals and starters for all the family which made the process so much easier. 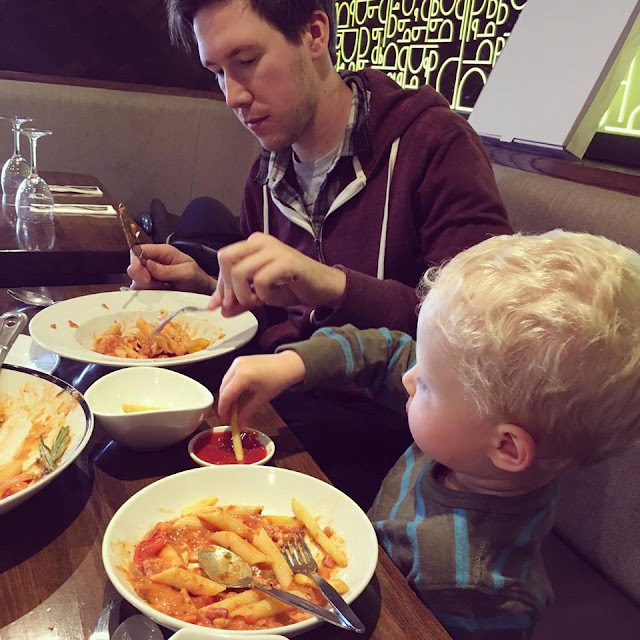 It was great to be served up the huge bowl of pasta as I could dish it out accordingly and Nick and Noah were able to help themselves to seconds, or even thirds in Nick's case! I'm an over sharer, that's for sure as my portion sizes are always quite big but it could have easily fed four adults. It was a hit with all three of us, though I personally felt it could have used a little more seasoning but that's just to my own taste. The garlic bread was absolutely delicious and a perfect accompaniment to our pasta. We got through the first garlic bread within minutes as it was so tasty and moreish, I was secretly so glad to be taking one home with me! The La Famiglia sharing bowl is all about bringing family together and it certainly did just that. 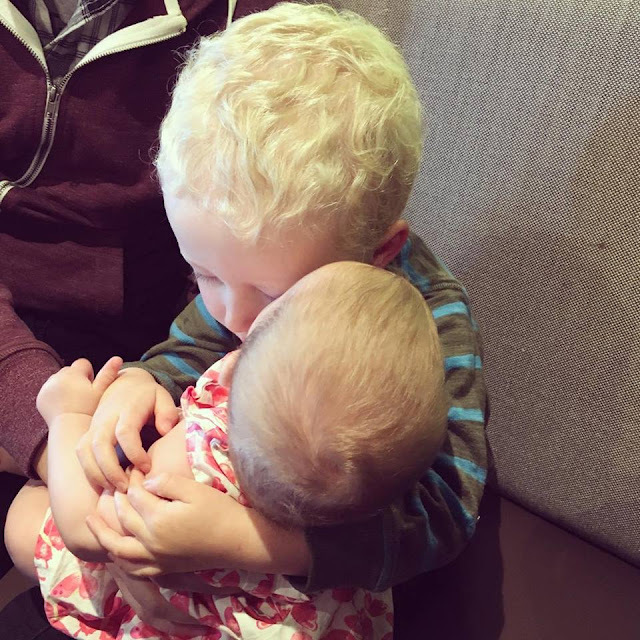 It was rather fitting that Noah wanted lots of cuddles off his baby sister in between courses. 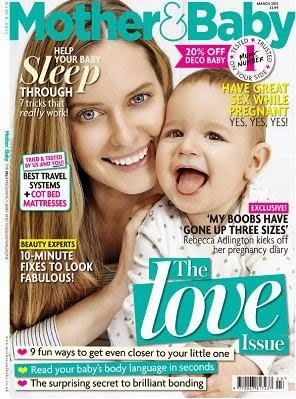 I think when its time for her to wean he will really enjoy eating with her, just as we will too. I had to feed Ava whilst we were there (and whilst I was tucking into my pasta, of course!) and no one batted an eye lid so it was nice to know that the establishment is nice and breastfeeding friendly too. Last but certainly not least we had our deserts, ice cream and sorbet! Nick and Noah ordered the chocolate ice cream and I decided to mix it up a bit and go for a scoop of vanilla ice cream with some peach sorbet. 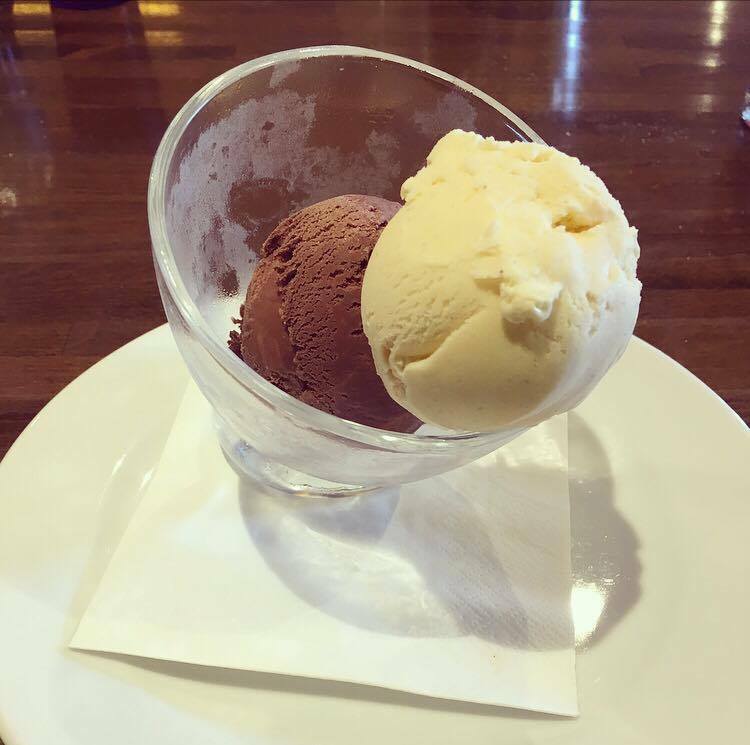 The ice cream really hit the spot after our pasta and garlic bread and the sorbet was so refreshing, perfect to indulge in after all the hot and stuffy weather we were having. 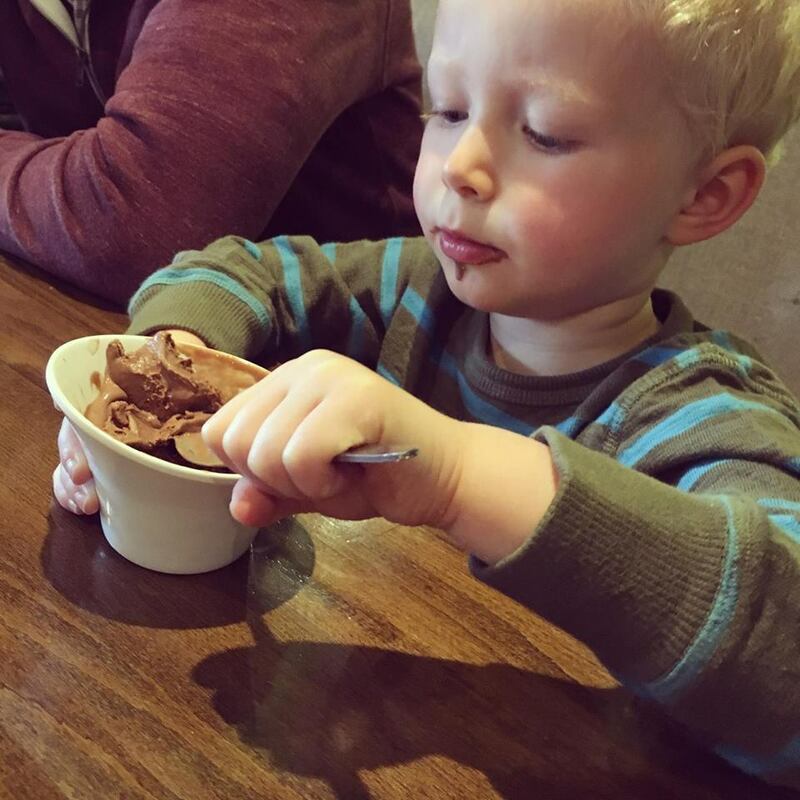 All in all I was so impressed with our visit to Prezzo. Not only is the La Famiglia sharing bowl a genius idea but our experience at the restaurant was perfect, the food was delicious and it was also great value for money too (if we'd have been paying!) I wouldn't hesitate in visiting Prezzo again soon and trying out a different La Famiglia sharing bowl, maybe the Arrabiata next time! 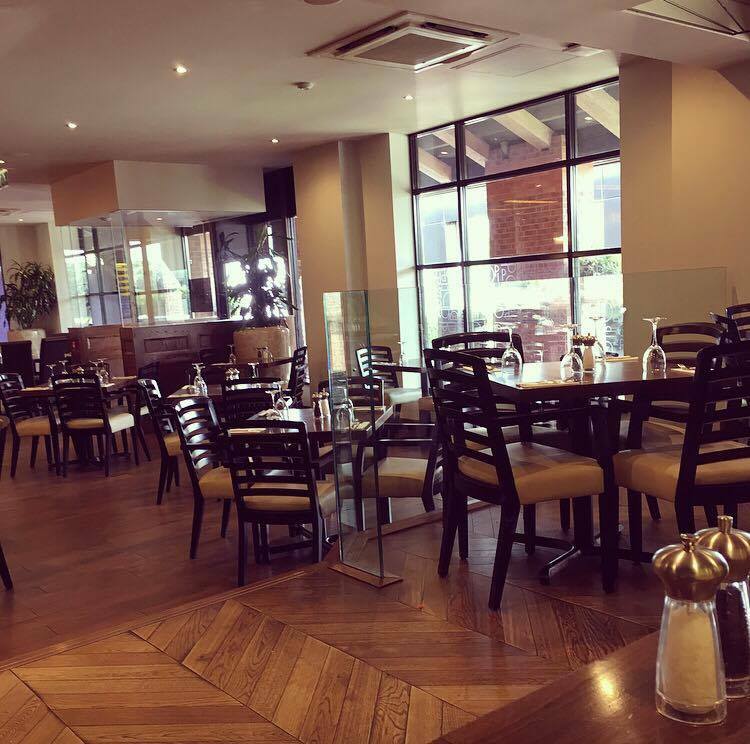 Have you ever visited Prezzo? Which La Famiglia dish would your family choose? 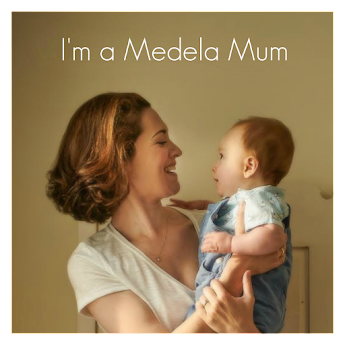 This post is an entry for the BritMums #PrezzoLaFamiglia Challenge, sponsored by Prezzo. it looks lovely.... what was in the Penne Alla Rusticana? No, I haven't visited Prezzo as yet. Would love to have one locally, as I do love Italian food. Also I am fond of the Italian Culture in regards to Family. I believe Italians are very much Family orientated, they love to share time, share food etc with family. Very Supportive, Iclusive and Friendly is how I have found Italians. Had a truly Wonderful holiday in Italy when in my teens. Would be spoilt for choice. As love Italian food. 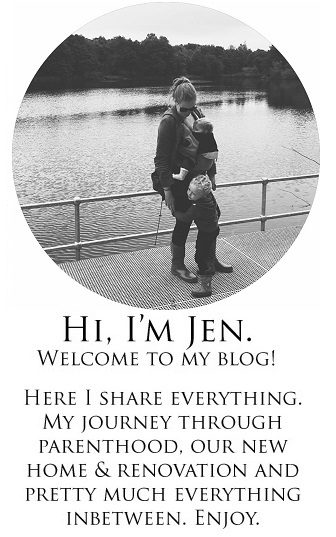 Love the idea of The Family Bowl. Love Eating Out, as does my fiancé. 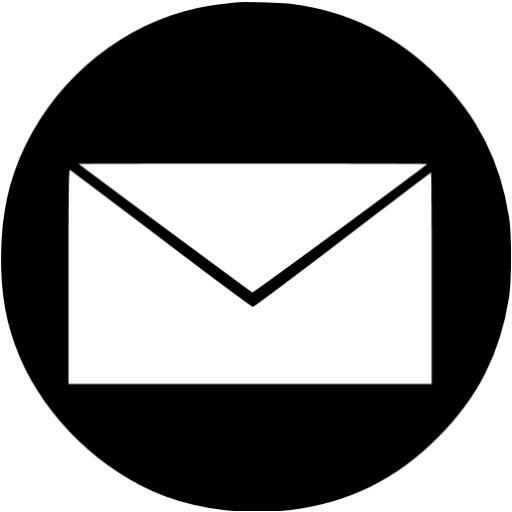 We would love to be Secret Shoppers and review shops, organisations, food establishments etc. Maybe some day. We are limited in finances, so would allow us some quality of life. Whilst also hopefully improve Customer Service etc. We were used to " the customer is always right" and Loyalty between Businesses and Customers. I started out working in shops. If the Customer has a Good Experience they are likely to return and spend again. Also they may well share that good experience by telling Family and Friends. Recommendations are Valuable. Whereas seems nowadays that some Businesses etc Self Advertise :- Surely that is No Recommendation. They are just asking for people to part with their money / take a chance on them. When there has Ben an Economic Downturn, money is limited. 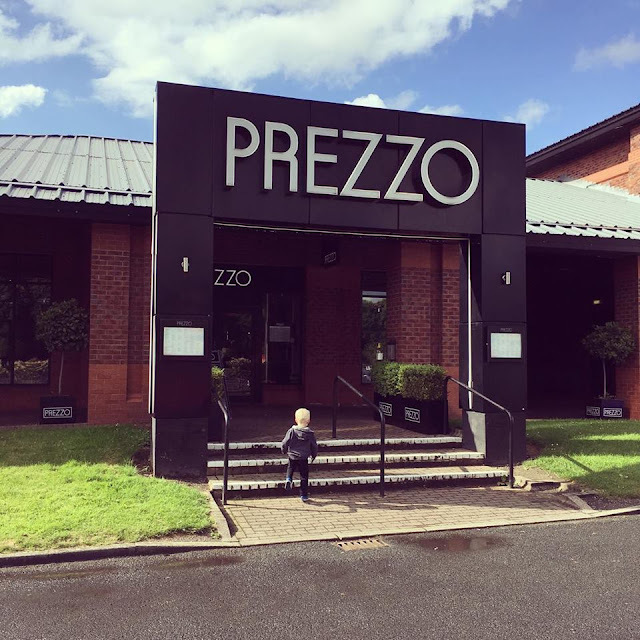 Would love to try Prezzo, maybe when next in Preston, as have family whom we visit, and nearest train station to them is Preston. They usually collect us at the station. Well Done in getting Opportunity to try out The Family Bowl at Prezzo. Seems like a nice family outing.